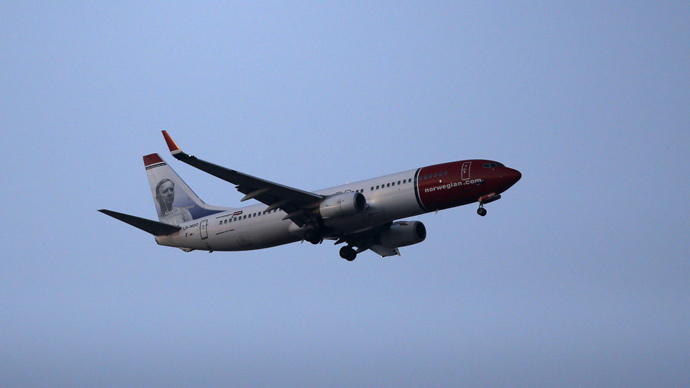 A scandal is gathering pace after a Norwegian airliner lifted off despite the crew bickering about weather conditions with the captain and co-pilots, which resulted in the walkout of almost half of the cabin staff. Four of the nine cabin crewmembers on Norwegian's flight DY 7006 from New York to Stockholm became so frustrated over the argument in the hours before the plane took off, that they walked off the plane. They reportedly believed the flight’s security could be jeopardized due to snowfall, poor visibility, and pointed to other flights being canceled. However, the pilots decided to carry on. Though the incident happened almost a month ago, it was only reported this week, and the authorities are now investigating. Norwegian aviation laws state that it is against the rules to fly with reduced cabin crews, the Local reported. Hesthammer said the cabin crewmembers who walked off will be grounded until the investigation is over. He added the captain was correct to fly with five cabin crew, when it was impossible to obtain more at short notice, “partly because of hindered transport communication due to snowfall,” and the flight was normal. The latest statement has become an issue of discussion. Operating Officer of Norwegian aviation oversight, Einar Schjølberg, pointed out, there wouldn’t have been enough crew to evacuate the passengers if an emergency had occurred.